On March 29, 2018, World View's Stratollite high-altitude balloon lifted off from the company's launch facility in Tucson, Arizona, reaching a float altitude of 115,000 feet. The balloon was aloft for approximately five hours before landing near the border of New Mexico and Texas. The balloon flight itself was nothing new for NASA's Flight Opportunities program flight provider World View Enterprises. 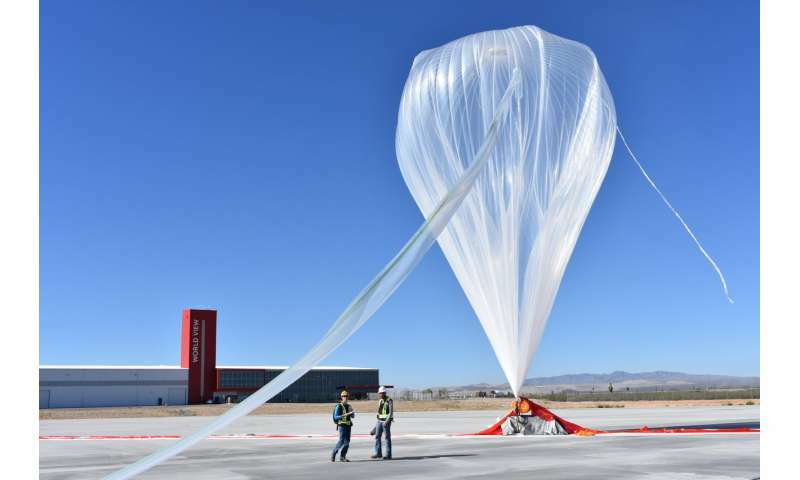 The company has been flying scientific payloads on its high-altitude balloons since 2015. This flight, however, was a matchmaking mission of sorts. Onboard: the Low-Cost, Lightweight, Reusable Radiation Nose payload from NASA's Ames Research Center in Silicon Valley and the Automated Radiation Measurements for Aerospace Safety-High Altitude (ARMAS-Hi) payload from Space Environment Technologies and the University of Southern California both in Los Angeles. Both payloads aim to detect or monitor radiation on space-based missions—similar capabilities identified by Flight Opportunities Campaign Manager Paul De León as being a likely match for a fruitful collaboration. "I knew that the Ames principal investigator wanted to fly along another radiation sensor in order to validate his data," explained De León. "It made a lot of sense—the more data they can obtain, the more confidence the researchers can have in the sensor's accuracy. But the other sensors the investigator inquired about were either unavailable or were simply too bulky to be installed on the flight." Enter ARMAS-Hi—a commercial off-the-shelf sensor experiment featuring a very small footprint, low weight, and low power consumption. The ARMAS-Hi payload was selected by Flight Opportunities to receive a SpaceTech-REDDI grant, enabling their respective principal investigators (PIs) to choose an appropriate commercial flight provider for demonstration. While Flight Opportunities cannot direct flight providers to manifest specific technologies together, De León had a hunch the principal investigators would want to work together. "When I saw both technologies I said hey, this would be a great match—if they can collaborate, then they can use each other's payloads to validate the results of their flight experiments," said De León. He went with his instinct and connected the Ames principal investigator (PI) Meyya Meyyappan, and the ARMAS-Hi PI, Kent Tobiska. The researchers discussed the possibilities for leveraging data from a shared flight, leading to the joint manifest. "It turned out to be a win-win situation for everyone," said De León. With the World View flight successfully completed, the two organizations now begin the process of analyzing data in preparation for further research. Through the Flight Opportunities program selects promising technologies from industry, academia and government for testing on commercial launch vehicles. The program is funded by the Space Technology Mission Directorate and managed at NASA's Armstrong Flight Research Center in Edwards, California. Ames manages the solicitation and selection of technologies to be tested and demonstrated on commercial flight vehicles.